Honestly, this is the most awesome shot glass I have ever seen. since I don’t drink I think that I will actually use this shot glass to make a candle in, as the face being on the inside would be awesome burning as a candle. I can’t think of a cooler shot glass than this one. It is sturdy, thick glass and will stand up to even the most drunken abuse, or in my case candle abuse. The design is more detail than I would have imagined and when you pour a colored liquid into it, it just looks terrific. It has two different measures, 1.5 ounce about the eyes and 2 ounces when filled up! That is great for even measuring shots for a mixed drink. They are serious about shipping this thing and there are no worries about it being broken upon arrival. 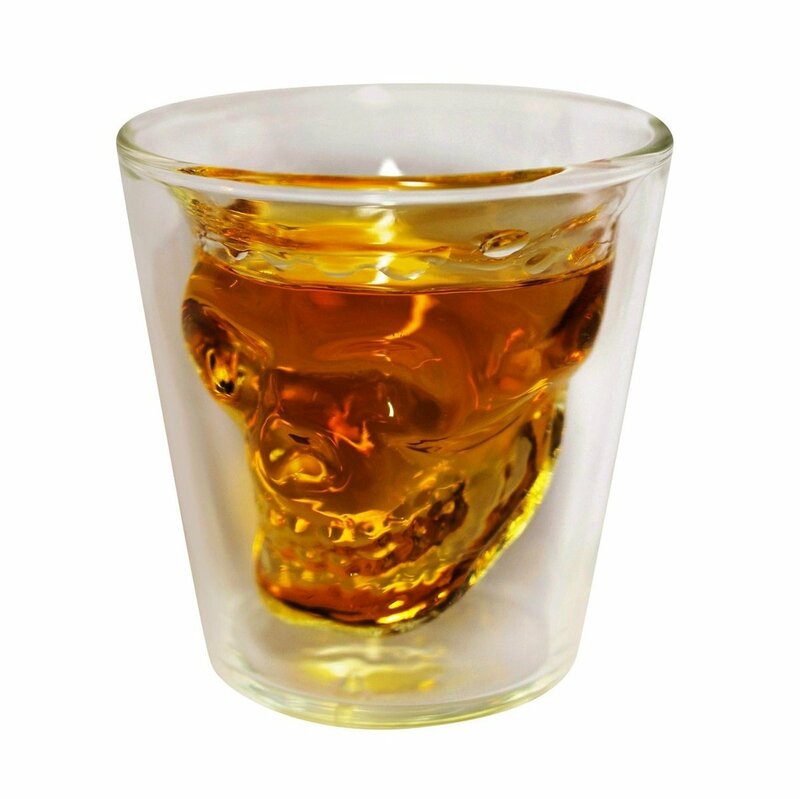 If you are looking for the coolest shot glass, look no more!